IMAG1576, a photo by CAKE Amsterdam - Cakes by ZOBOT on Flickr. 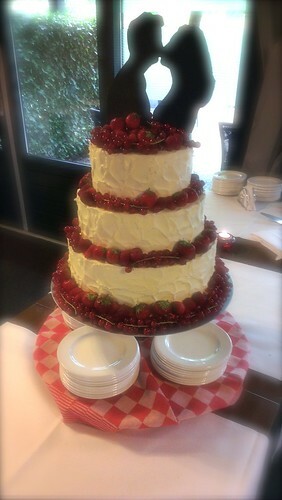 Red Velvet cake with layers of rich chocolate ganache covered in cream cheese frosting and fresh fruit! Look how YUMMY it looks! Congrats to Wout & Maas married on Friday the 13th!